Congrats to TriFit Mom, comment #25. She is the winner of the Pioneer Woman Cookbook. I’ve written before about what a huge fan I am of Ree Drummond, author of the Pioneer Woman blog. I admire Ree not only for her gorgeous photography, her authentic voice, and her delicious food, but also for not letting success go to her head. Whenever I’ve seen her at blog conferences, she is always the most down to earth and approachable person there, completely unaffected by the millions of readers who visit her blog regularly, drinking in the pictures of her ranching life. She loves her husband, loves her kids, loves her photography, loves her cooking and she blogs about it all. She is, quite simply, someone I want to be when I grow up. I was thrilled to receive a review copy of Ree’s new cookbook, The Pioneer Woman Cooks: Recipes from an Accidental Country Girl . Filled with beautiful pictures of life on the Drummond ranch, it reads just like Ree’s blog, and it is filled with dozens of mouth watering recipes. My husband was thrilled by all my testing because Ree’s food is his type of comfort food cooking: meatloaf, chicken pot pie, and braised beef brisket. The soup is unbelievable. Creamy but also filled with so much flavor from the sherry. It’s the kind of soup that makes you moan out loud, apologize, and then moan all over again. I’m reprinting the recipe here, but to really get the full effect, you have to check out the book with all the pictures. All the commentary is from the book – not me. You could buy it for yourself and put it under the tree (it’s so cheap at Amazon right now – only $11!)…. or you could win a copy here. I’m giving away one copy of The Pioneer Woman Cooks: Recipes from an Accidental Country Girl for today’s giveaway. Just leave a comment here to be entered to win. And leave me additional comments for any tweets, links, or if you are a subscriber for additional chances to win. 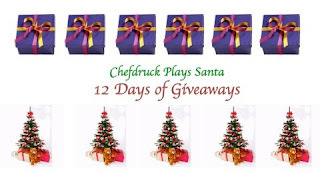 I’ll select the winner, along with all the other 12 days of giveaways winners on December 25. To begin with, chop the onion. Melt the butter in a large pot or Dutch oven. Throw in the onion and cook until translucent. Now dump in the diced tomatoes and stir to combine. Add the tomato juice. I usually use organic juice because I want people to think, She’s cool because she uses organic. Next, add 1 or 2 tablespoons of chicken base to the pot. I added 3 and it wound up being a little too much. But it’s a middle child thing… I’m always adding more, more more! Now you can add lots of freshly ground black pepper. Stir to combine, then heat almost to a boil. Then turn off the heat. Now! Here’s the nice little flavor that sets this soup apart. Add in the sherry, if desired. It’ll keep you honest – I promise! And now, people. It’s time to get serious. And it’s time to examine yourselves, and I mean that figuratively, for Pete’s sake: when it comes to heavy cream, are you a man or a mouse? I need an answer now because we’re about to add 1 1/2 cups of the stuff into our soup. And mmm… stir it together. Now chop up a handful of flat-leaf parsley. And really, I’m not opposed to the curly parsley. And actually, blind taste tests have shown that there’s really not much difference in taste. But flat-leaf is a little more texturally palatable, so if you can find it, it’s best. “Texturally palatable.” You know, I just throw these phrases out into the atmosphere and I have no idea where they come from. Or where they’re going. Or where they’ve been. Now go ahead and throw in the parsley and the basil, and stir together. Next, take a whiff of this heavenly delight. Then faint. Then pick yourself up off the ground and grab your pepper mill again. I always set it to fine for this soup, and I really let ‘er loose. I love freshly ground pepper. Keep the soup warm and serve it on a cold day to people you love. The flavor will knock your socks off. >this is an awesome giveaway…..
>I adore Ree Drummond as well for her no nonsense style of writing, and the fun adventures on her blog. I'll tweet this giveaway. >I'd love to win! I'm a big PW fan, too, and just sent her cookbook to my sister for Christmas! >i subscribe to both of your blogs. >This is already on my wish list but… just in case! >I was never a blog reader of hers but I adore this cookbook. Her perfect chili recipe is our new family favorite -I have made it three times and now I triple the batch! >I went to Border's to check this book out, but the salesgirl could not find it in her system and told me they didn't carry it. I finally found it myself in a front of the store display as I expected, but by then, it was too late for me to check it out. So…I wanna win this one. >I cannot tell you how badly I want this book! I'm on "cookbook restriction" right now because I have no self control! But no one ever said anything about "winning" one! 🙂 PW really is awesome! >Great prize!! Thanks for hosting. >I'm subscribed via Google Reader. >This sounds great! 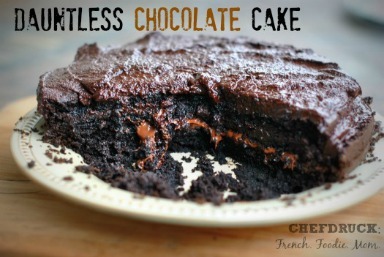 I love recipes that are easy to follow! >What a great book to be giving away! It would make a nice addition to my current shelf of go-to cookbooks! >Just tweeted the giveaway for you! >PW's book is so on my wishlist! >oh how i want this book !!! >i would love to have this cookbook. it looks like so much fun! >I would love to win Pdub's (Ree) cookbook. She is such a gracious down to earth country gal (even if she did come from the city). I saw her on the Bonnie Hunt show, and she is so genuine. Thanks for the chance to enter my name. >I'd love to win I love PW and have wanted this book. >Loved your photos of getting your books signed. Thanks for sharing and this opportunity. >I'd love to have a chance to win this! Thanks! >I'd love to win. Thanks for the chance. >This looks like a great cookbook. I'd love to own it! >I would love to win. >Oooo – that DOES look good. I'd definitely be interested in seeing the rest of the book! >I follow on Twitter as wiscmom24 and Tweeted. >I've heard nothing but great things about this cookbook! Thanks for the chance to win it! >This would be a great addition to my cookbook collection! 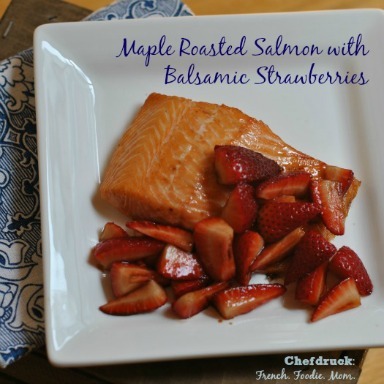 Ree always has great recipes and pics of each on her blog. Thanks for the chance to win! >Am posting a tweet about this great giveaway! >woooow 🙂 amazing giveaway! i love PW 🙂 thank u!! >That tomato soup looks perfect for a chilly day like today. I would love to win the book. >This sounds like a wonderful cookbook. I love making "comfort" foods. Thanks for the review and giveaway! >This sounds like a great cookbook. I'd love to own it. >I love cookbooks. Would love to add this to my collection. Thank you for the giveaway. >I am an email subscriber. Thanks again! >i have been a reader of her blog for a bit now and the recipes that she has on it have been interesting and good. >What a great Gift. I love following her blog, she is hilarious. >I like the title too. >I would love to try some of her recipes! They always sound delicious. >I've been looking at the PW cookbook while Christmas shopping, and I'd love to win it! >I subscribe to your feed in Google Reader. >This is a great giveaway. I hope that you have an wonderful Christmas for being so giving during this holiday season. It is better to give than to recieve. >Mmm…..that soup sounds delicious! I have to cook heart healthy for hubby, so I may try it with I Can't Believe It's Not Butter and Fat Free Half-n-Half. It works for most recipes! 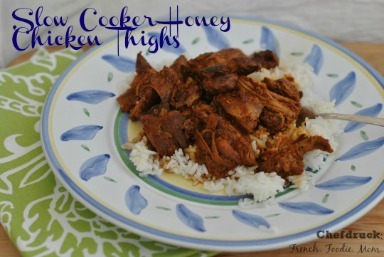 >I just checked out her site and am in love with her delicious recipes..now I'm hungry! >What a great giveaways, I love visiting her site and am a big fan!